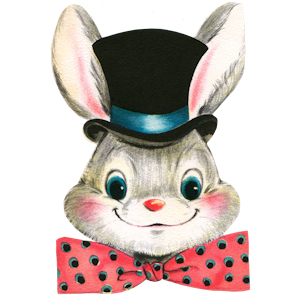 This cute little bunny is hidden on one page per store on the mall: Find more to win more! INSTRUCTIONS: Read these instructions before beginning the hunt. 1. Download the Bunny Hop List. This is the form for you to tell us the set names and urls (addresses) of where you find the bunnies. 2. There are a total of 98 bunnies on the mall, one in each store, identical to the one you see above. Start HERE, this page has all 98 store links on it. Click a link, which takes you to the store's index page. Click the thumbnails on the index pages and search for the bunny, which is hidden on one of the pages of that store. When you find him, copy and paste the set's name and the url in the address bar to the bunny hop list. Don't give up, each store has a bunny! 3. Email us the form by May 1, 2019. We will get your gifts all set up and email you back. Allow extra time for processing. If you do not hear back within 10 days of emailing your entry, email us again. HAVE FUN!!!!! Prize #1: Find 1-15 bunnies: Get a free bonus design. Prize #2: Find 16-97 bunnies: Choose a FREE Sampler HERE, (no purchase necessary) PLUS get Prize #1! Prize #3: Find all 98 bunnies: Choose a FREE archive from HERE. ,PLUS get Prize #1 and Prize #2! YOU GET IT ALL! Once you have found as many as you want, send your results to support@oregonpatchworks.com. 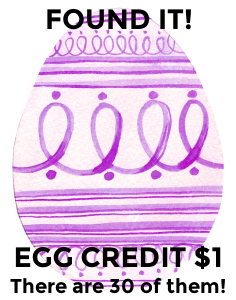 The eggs on this page do not count for credits. It is showing you there are 30 different eggs hidden, each saying FOUND IT! There are 30 colorful Easter eggs hidden on 30 pages on the mall (other than this page). Each one is worth $1 credit, to spend as you like! INSTRUCTIONS: Read these instructions before beginning the Easter egg hunt. 1. Download the Egg Hunt List. This is the form for you to tell us the set names and urls (addresses) of where you find the Easter eggs. 2. The eggs are not hidden in every store. But there are 30 (thirty) eggs, one per the store they are hidden in. Find them all for a $30 credit to spend as you like at the mall! Start HERE, this page has 98 store links on it (only 30 of them have the eggs). 3. 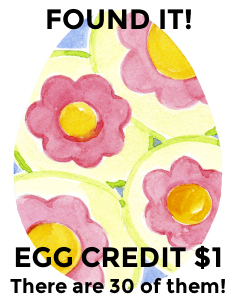 Email us the form by May 1, 2019, along with a list of what you want to spend your egg credits on. 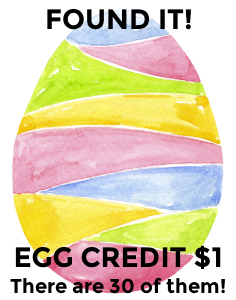 Easter Egg Hunt Prize: Each egg = $1 credit. Find all 30, if you can! Please do not share the answers with anyone. Limit of one participant per household, one entry per person.